Accord Named to the Car and Driver 10Best List Again! We’ll never get tired of saying it: the new 2015 Honda Accord has made it onto Car and Driver‘s 10Best Cars in America list. This is a pretty big deal in and of itself, and we’re celebrating here at Central Illinois Honda Dealers, but there’s more than one cause for celebration. 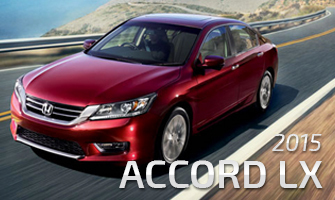 In the 31 years that the list has been running, the Accord has been named to it a record 29 times. Twenty-nine times! We’re proud of the 2015 Honda Accord, but we have to admit that we’re not too surprised to see it on Car and Driver‘s list. After all, the Accord has been making the list nearly every year for decades, and we’ve seen how much our Central Illinois drivers simply adore this car, whether in the sedan, coupe, or hybrid versions. Conrad is the general manager and senior vice president of the Honda Division of American Honda Motor Company, although with all of the awards that Honda seems to be winning lately, responding to praise for the Honda lineup has become part of his day-to-day job. The Accord has been sold in the United States since 1976, and we are proud that in its nearly 40 years of service it has managed to impress drivers all over the country. We can’t wait to see what’s in store for the future of the Accord. Do you want to see what all of the fuss is about? Why we’ve been talking up the 2015 Honda Accord since it debuted? Then all you need to do is visit a Central Illinois Honda Dealer today and let us put you in the driver’s seat. We think you’ll be excited by everything this incredible car has to offer, and you’ll see very quickly why the staff at Car and Driver loves this car as much as they do. 0 comment(s) so far on Accord Named to the Car and Driver 10Best List Again!